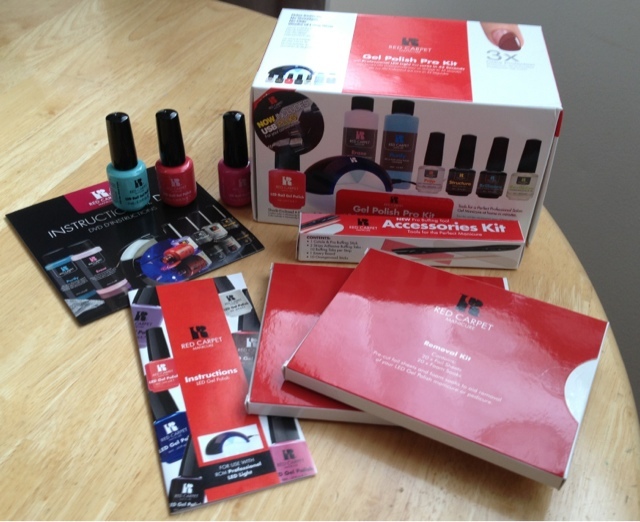 I have been a regular customer with QVC for many years, when i saw they were doing Red Carpet Manicure Gel Polish Pro Kit...on Today's special value..i just couldn't wait to try it. In a few simple steps i had fantastic super shiny nails..that had a professional finish..i have noticed my nails have also started to grow as i can see the natural colour of my nail. so here the easy steps to follow. Using the RCM cuticle pusher & buffer tabs, these are in the RMC Accessories kit provided, prepare the the nail by gently removing the shine from the nail with the buffer. Next use RMC pre & post cleanser, put a small amount on some cotton wool and wipe over the nail to remove any dirt or dust. 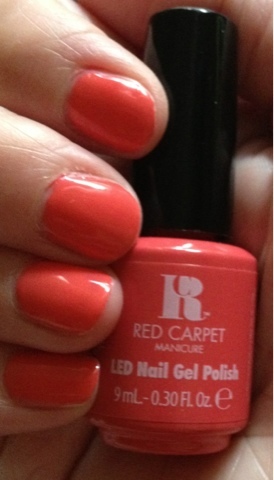 Next use the RMC prep this leaves the nail moisture free with no residue. 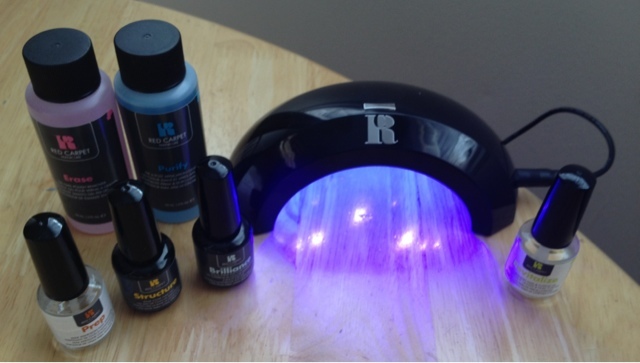 Step 2 Using the RCM structure base Gel Coat apply a thin coat on the four fingers on one hand then cure under the LED light for 30 seconds then choose your Gel colour apply a thin coat of your chosen gel polish cure for 45 seconds the light will automatically switch off after this time, to make sure you have a good coverage of colour apply a second coat and cure for another 45 seconds. Step 3 Finish Using the RMC Pre and post cleanser, put a small amount on some cotton wool and gently sweep over the nails to remove any residue..repeat the whole process on the other hand and thumbs. After a couple of weeks you can remove the colour using the removal kit provided. I absolutely love with my Red Carpet Manicure, i am really impressed by how shiny and professional my nails look...i really liked the fact it dries instantly with no smudges.I have also had so many compliments on how nice my nails are looking... i have been doing all my usual chores around the house and my nails look as good as the first day i did them..plus i was able to do this in the comfort of my own home..i'm really looking forward to trying out the other colours.in the collection. I am loving this, i always have painted nails and often can still be sat up 3 hrs after applying before i dare to go to bed!